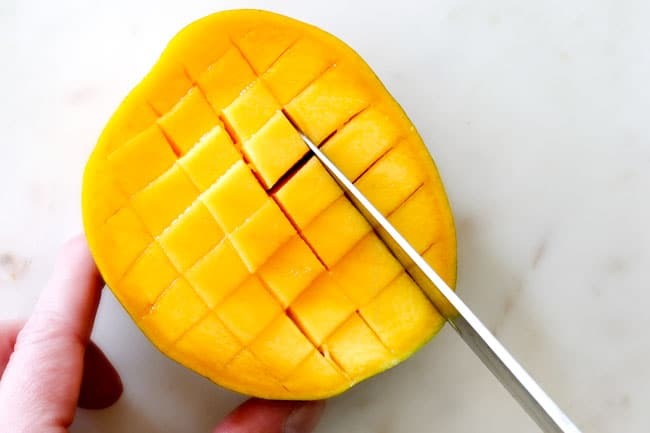 This How to Cut a Mango post is sponsored by the National Mango Board. All opinions are my own. Mangos are a juicy, natural superfruit that can be enjoyed year round but often people shy away because they don’t know How to Cut a Mango. This post will help you conquer your fears and get you giddy about Mangos! I am SO excited to be partnering with the National Mango Board to share my love of mangos with you! As I state on my About Page, “Some people escape in dreams of sandy beaches and sunny skies, I escape in dreams of mangos, chipotle peppers and bacon,” AKA mangos are my happy place and I hope they will be yours too if they aren’t already! Mangos are naturally sweet, juicy and just plain delicious! 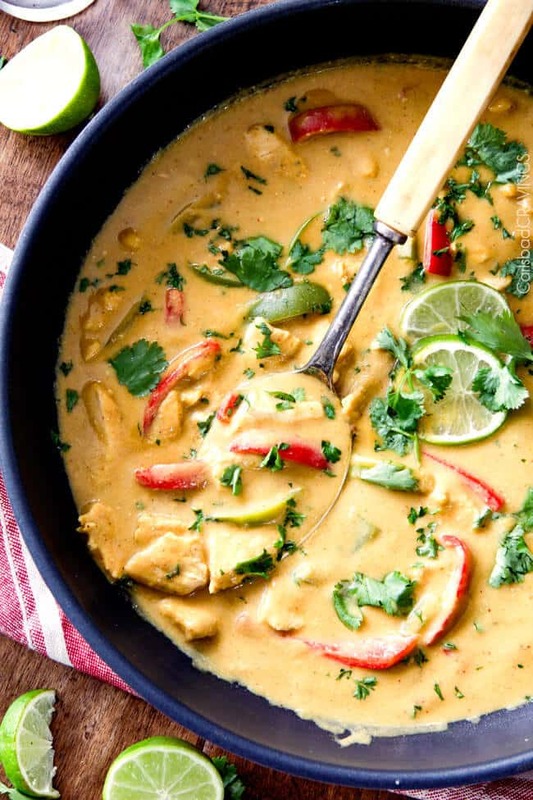 I have used mangos in many of my recipes (see Recipes List below), but not as many as I would like because I know many people are intimidated by choosing and cutting mangos. 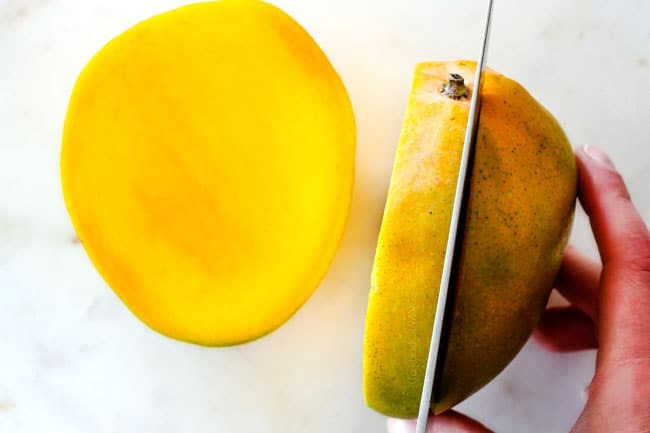 In fact, while mangos are considered the world’s most popular fruit, a recent survey by the National Mango Board, finds that nearly half of Americans not only don’t know how to cut a fresh, whole mango but they actually consider mangos the toughest fruit to cut. The same survey showed Americans are more confident in hosting a dinner party than they are cutting a fresh, whole mango and less than half of women surveyed felt like pros when it came to cutting mangos. I’d like to change all of that! I want you to feel confident and excited about mangos because they not only taste divine, but they are also a Super fun, Superfruit. 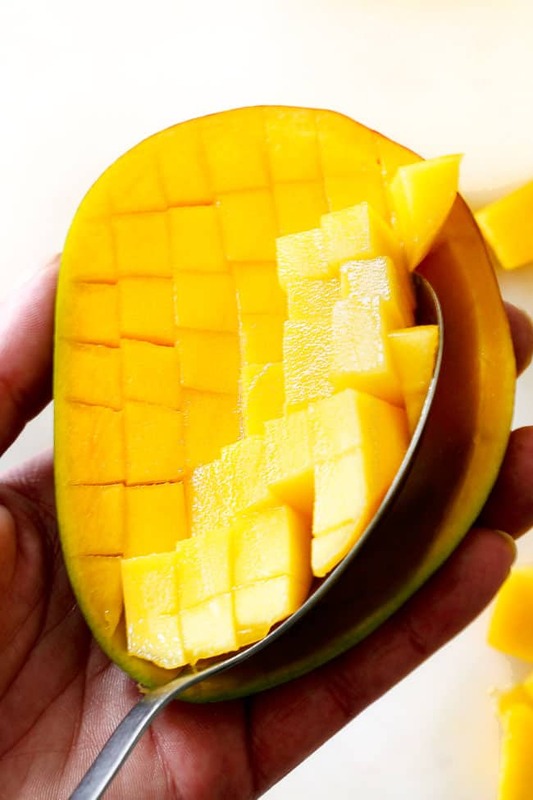 I am going to walk you through everything you need to know about mangos from Mango Nutrition, to How to Tell if a Mango is Ripe, How to Ripen Mangos, How to Store Mangos and How to Cut a Mango. The information I’m going to share comes from the National Mango Board. So, let’s talk mangos! 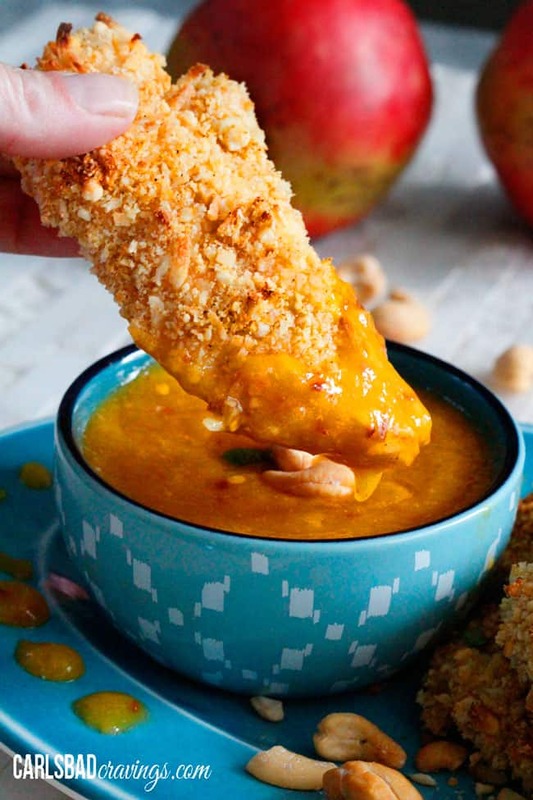 Mangos are the versatile, juicy superfruit you are going to love. They are guilt free good for you! One cup of mango provides 100% of the daily value for Vitamin C, which plays an important role in immune function. One cup of mango is a good source of Vitamin A, which is important for immune function and helps maintain healthy skin. One cup of mango is rich in folate, which helps maintain cardiovascular function. One cup of mango is a good source of fiber, which helps you feel full faster. Mangos are available year-round thanks to the six varieties that have staggered growing seasons in Mexico, Peru, Ecuador, Brazil, Guatemala and Haiti so don’t shy away from eating them in the winter too! 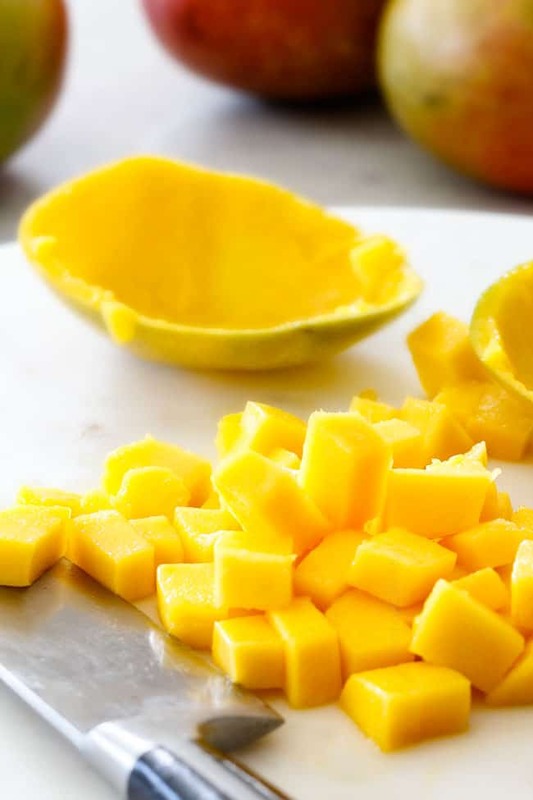 Right now, you’ll likely find the delicious Honey, Kent and Tommy Atkins mangos available in your supermarket, offering different mango options for any dish, here’s more information about mango varieties. To check for ripeness, focus on FEEL not color because every variety is a different color when ripe. For example, red doesn’t necessarily mean ripe. To speed up ripening, place mangos in a paper bag at room temperature, and store for approximately 2 days or until the mangos are ripe. Whole, ripe mangos may be stored for up to five days in the refrigerator. 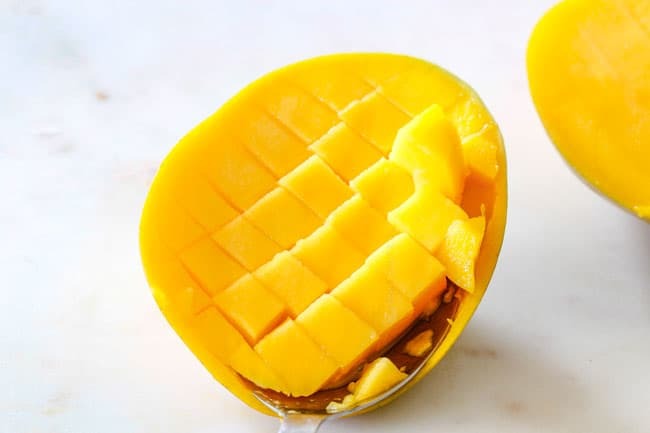 Mangos can be peeled, cubed and placed in an airtight container in the refrigerator for several days or in the freezer for up to six months. Learning How to Cut a Mango is easy! There are no real mistakes. The worst thing that can happen is you accidentally hit the pit, no biggie. 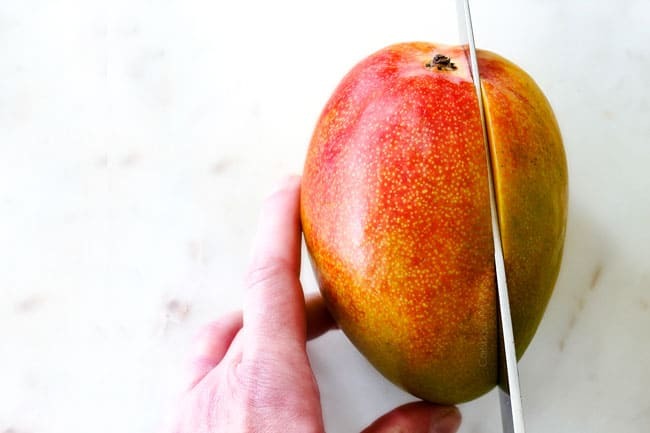 If you hit the pit, then just move your knife further from the center of the mango and cut again. You got this! First, the basics. Wash your hands and wash the mango. Always use a clean knife and cutting board to cut a mango. Start by locating the stem. Make sure the step is on top. The long, flat seed runs from stem to nose. We want to cut around this pit. 3. Once you locate the stem, make a vertical cut 1/4″ away from this midline then make the same cut on the other side. 5. Slice the flesh the other direction without cutting through the skin to create a grid pattern. 6. Use a large spoon to detach the flesh from the skin and scoop out the cubes. 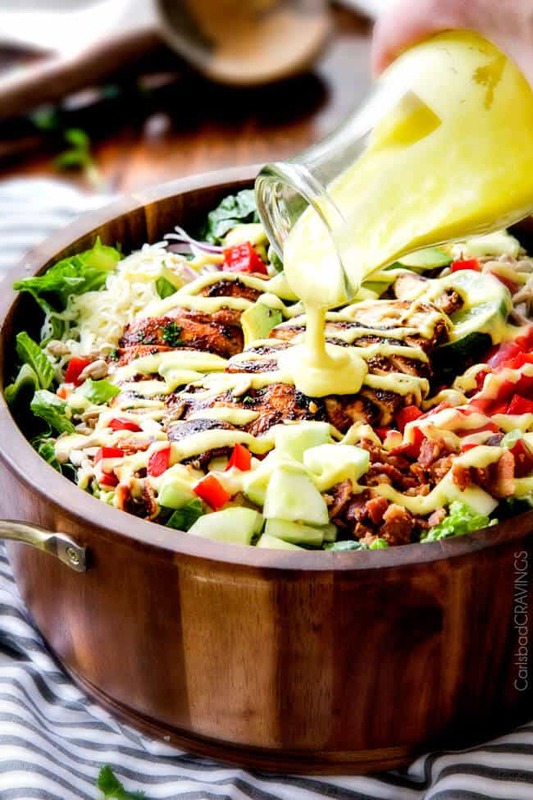 I love mangos so much I have used them in sauces, stir fries, salad dressings, dips, chimichurri, smoothies, salads and even desserts. 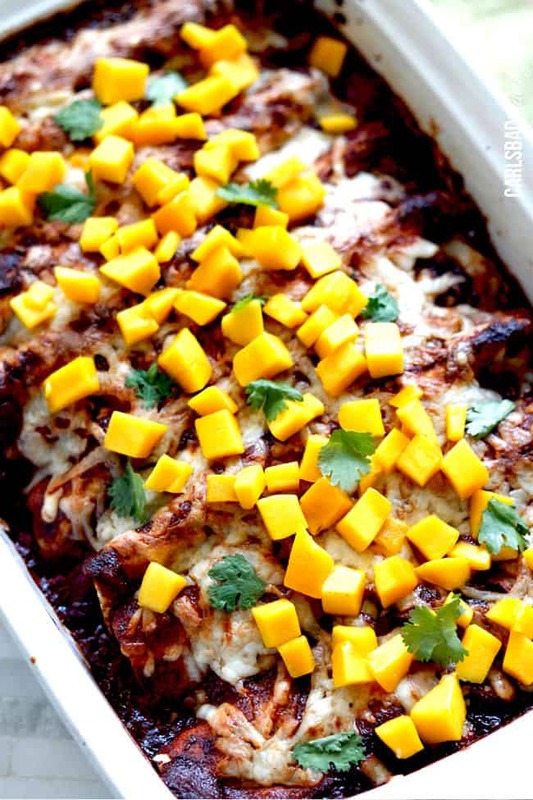 I hope you enjoy these recipes thanks to the versatile, ever delicious mango! 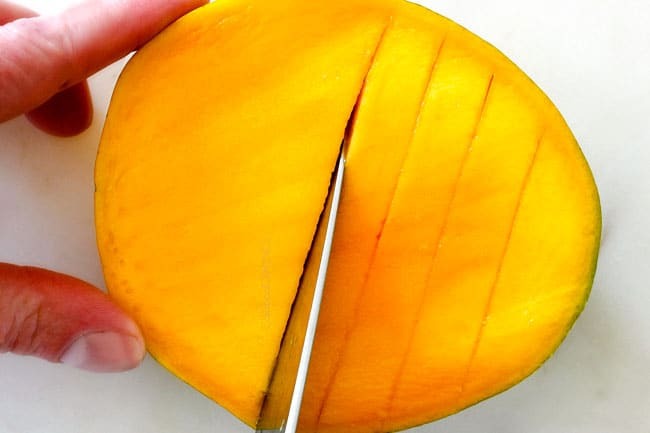 Want to remember how to cut a mango? PIN it TO YOUR HOW TO BOARD TO SAVE FOR LATER! Loved the part about people preferring to put on a dinner party than cut a mango! Hilarious, but also kind of sad in that it tells you how intimidating even basic culinary/kitchen skills can be to many people, which in turn keeps them from learning the joys of cooking. And, as you show here, such an easy fix! Your post is very likely more helpful than you know. I love mangoes so I learned how to cut them long ago (after a lot of disasters…) but I learned a lot from the info you included here. Great post — thanks Jen! You are so welcome Marcia, thank you so much for taking the time to comment! I thought the part about the stats about the dinner party were crazy too! I don’t post as many recipes with mangos as I like because I know people are afraid of them so hopefully this will solve that! I lived in India for 5 years in the early 2000s and was amazed when I first saw them cutting mangoes!! A skill everyone over there seems to know from childhood. They also flip the skin inside out after cutting the grid so the squares just pop and then you can very easily cut them off. It is pure genius. Even my kids can cut mangoes with such a great technique! What an adventure to have lived in India! Thank you for the tip about flipping the skin inside out – love that! – I am definitely trying that next time! Thanks Tara! Thank you so much for taking the time to comment Loretta! I am so happy you found this post useful. I hope it opens up the world of delicious mangos to you! You answered all my questions, thanks so much. I ate my first mango a few weeks ago and I haven’t stopped. I have at least one a day. I’m 65 and rue the fact that I waited so long. I have tasted “mango” flavored drinks and dressings but nothing can compare to that real mango taste on your tongue. You are so welcome Joe! I agree, nothing is quite like a juicy mango! It sounds like you are going to enjoy making up for lost time with lots of mangos! Chicken chicken chicken! More ideas for vegetarians? Thanks for pictures! 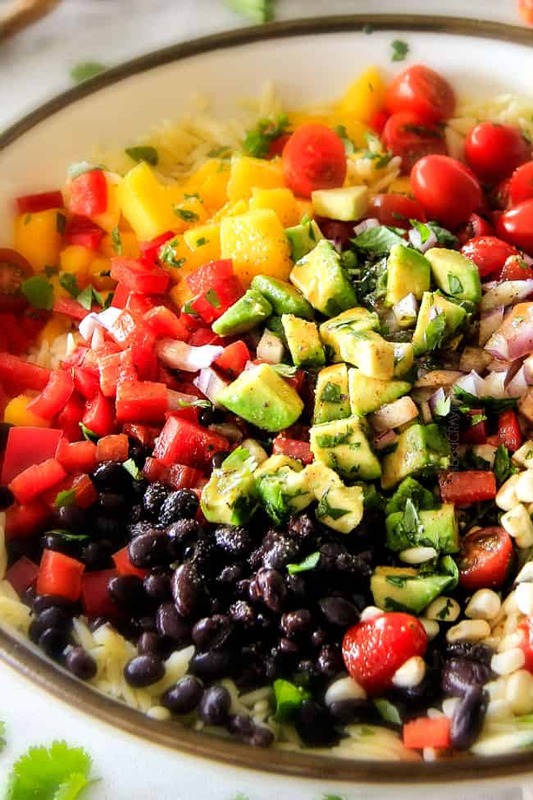 Hi Judy, I am not a vegetarian so I don’t focus on vegetarian meals – but you can definitely adapt recipes to suite your needs.